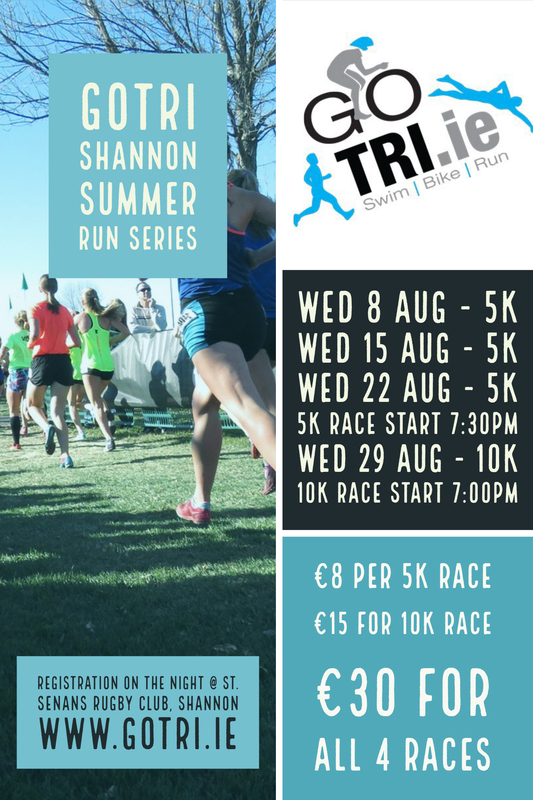 Gotri Triathlon Club are once again holding their Summer Running Series on four Wednesdays in August. The race series will consist of 3 x 5k races with the final in the race series a 10k race. series and track their progression each week. Cost for each of the 5k races is €8, with the 10k costing €15, or sign-up for the series for a discounted rate of €30. we want to get people out running and enjoying themselves. Registration opens in St. Senans Rugby Club from 6:30pm, hope to see you there!